Wherein I break my silence to introduce my latest freelance writing project for ChristianityToday.com (a small article) and attempt to exlain in a thousand words or less what the entire media elite have yet to figure out despite the powers of Lexis-Nexis. So last monday Ted Olsen at Christianity Today invited me to respond to the latest inquiries into Palin’s faith with a sensible description of who the A/G are and how we fit into the rest of mainstream evangelicalism. This is my attempt. I’ll confess to being a little nervous when writing this. Not only would my denomination’s leadership see it, but probably a couple million people could find something to disagree over it. But, hey — have keyboard, will write. So, here it is, have fun with it, and feel free to comment. That’s how political blogger Andrew Sullivan recently summarized Governor Sarah Palin’s faith background. Then again, news accounts of “rational faith” have been rather scarce. About one in four Christian believers worldwide are Pentecostal or charismatic, and the percentage is increasing daily. The World Christian Database says 8.7 percent of the world’s population is part of this “renewalist” group. The AG is one of the most prominent Pentecostal groups, it’s only a part of the movement. An AG study from 2006 found 60 million adherents in more than 300,000 churches worldwide. About 2.8 million of these are in the U.S. The renewalist movement in the U.S. is often divided into three historical “waves.” The first wave began in 1901, resulting in the “classical” Pentecostal denominations, including the Assemblies of God. The second (“charismatic”) wave began around 1960, and the third (“neocharismatic”) wave around 1980. While there are doctrinal and practical differences between the various Pentecostal and charismatic believers, what is common to all is the conviction that the Holy Spirit is personally active, immanent, and works through believers by giving gifts (charisms) for ministry, evangelism, and holiness. 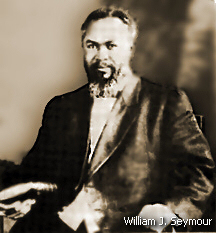 While some scholars have traced a thread of Pentecostal and charismatic expressions throughout church history, the modern renewal began with the “touch felt around the world” on January 1, 1901, when students of Charles Fox Parham were “baptized in the Spirit” and spoke in tongues after studying the Bible to prove or deny the validity of such an experience. Today, the Assemblies of God is generally considered orthodox with beliefs common to many denominations — excepting mainstream cessationist groups. 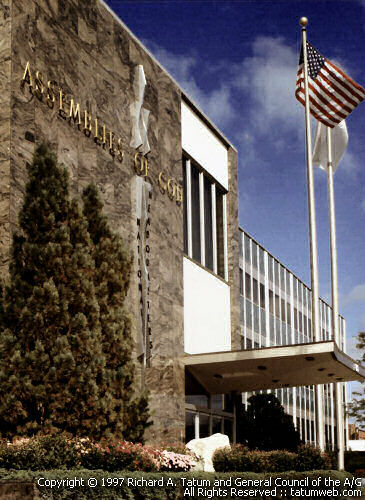 George Barna reports that among the 12 largest denominations, Assemblies of God adherents tend to have the highest “overall purity of … biblical perspectives.” They are more likely to be born again, to be “absolutely committed” to faith, to hold a high view of Scripture, to believe in a literal heaven and hell, to believe that Jesus was sinless, to believe that God created the universe, are more likely to pray, and are more likely to share the gospel with unbelievers. Assemblies of God adherents are evangelical, believing in the need for personal salvation and the call to evangelize. They have a high view of biblical authority and believe in the literal death and resurrection of Jesus. They are Arminian, believing that God-given free will is compatible with divine sovereignty. They believe that salvation is by grace and unmerited but is conditional on faith and on accepting the sacrifice and lordship of Jesus — and therefore, one can willfully fall from grace. They are thoroughly Trinitarian, rejecting the modalism as expressed in the Oneness or “Jesus’ Name”-only Pentecostal movement (e.g., the United Pentecostal Church). Their essential doctrines are expressed in creedal form in their “Sixteen Fundamental Truths,” and expanded on in a variety of position papers available online. Their four core doctrines are a belief in salvation, divine healing, Jesus’ imminent “second coming” (along with the rapture, tribulation, and the millennial reign of Christ), and that the “baptism of the Holy Spirit” is a divine gift freely available to all believers. This baptism is the core “distinctive doctrine” of the Assemblies of God, defined as a work of grace and an experience subsequent to and distinct from conversion (and not required for salvation), accompanied by the “initial physical evidence” of speaking in other tongues. This experience empowers believers for Christian witness, service, and holiness. Distinct from water-immersion baptism, Pentecostals see Spirit baptism as an immersion in the power, person, and experience of the Holy Spirit, and locate it biblically as promised in Joel 2:28-29, Mark 1:8, and John 16:5-16; made normative in Luke 24:49 and Acts 1:4-5; modeled in Acts 2:1-4; and universally extended as a gift to all believers in Acts 2:38-39. In addition to media-whipped anomalies such as Jim and Tammy Faye Bakker, Jimmy Swaggart, and Benny Hinn (all former Assemblies of God ministers), other AG churchgoers have gained national attention, including singer-songwriter Sara Groves, former U.S. Representatives Marilyn Musgrave (R-Colo.), and Linda Smith (R-Wash.), and former Attorney General John Ashcroft. But while Palin may well have been “a longtime member of the Assemblies of God,” she has not regularly attended an AG church since 2002. And a lot can change in six years. You can interact with the commenters at the ChristianityToday.com article as well. The AG has a history page. At Azusa Remixed, Pentecostal and charismatic scholars discuss the movement’s history and contemporary debates. The Pew Forum on Religion and Public Life has a demographic portrait of Pentecostals in 10 different countries. Check it out, there’s an mp3 to download, you can stream the program, listen to other interviews with sociologist Margaret Poloma, Pentecostal historian Cecil Robeck, an exploration of the Master’s Commission, and more, more, more. ← Gay marriage . . . and bubbly. Those figures come from the World Christian Encyclopedia (2001). They are estimates and probably liberal in what gets included. For an online source of numbers for global Christianity, see this PDF hosted at Gordon Conwell University. I gathered my numbers on Pentecostals & charismatics from The New International Dictionary of Pentecostal and Charismatic Movements. Both of these use the same source for their numbers: The World Christian Encyclopedia. I believe you’re confusing the count of Pentecostals & charismatics Stateside with Pentecostals and charismatics globally. You inferred what I did not mean to imply, and this is more than likely a case of poor writing on my part. I’m saying the A/G holds much in common with many orthodox denominations except those orthodox denominations which are cessationist. That does not mean cessationists are beyond the pale of orthodoxy. This simply means that the A/G may hold much in common with the except primarily issues surrounding cessationism. And I fear I may be muddying up the issue even more. Please forgive my failure to communicate properly. You noted, “The editors of Christianity Today should draw attention to the issues and help us think theologically about them.” I think the editors are helping us do just that by soliciting articles like mine. As indicated by the quote in the first line of the article, some in the mainstream press are setting up straw-man arguments to cast Palin in a negative light. An article like this simply helps shed light on the real issue so that attentive readers will know that besmirching Pentecostals in order to soil Palin is a smokescreen. Just clearin’ the air, that’s all. You are totally correct: there are some (many?) sovereign churches in the A/G which are far from “mainstream Pentecostal.” But that’s an issue for a different article. However, whether Wasilla A/G is also aberrent within that tradition is a question worthy of follow-up for those of us who want to know more about Pailin’s faith history. And only Palin could answer the question about how closely her own faith comports with that of the current Wasilla A/G theology and practice. I suspect it doesn’t align well at all. After all, she left the church shortly after the current pastor came on as the senior pastor. Thank you, Rich, for your thoughtfully detailed article on the AG and our history and also our differences today. My husband and I planted two AG churches after having been dismissed for resisting the Latter Rain teachings (and all of it’s various devices and hooks). Rather than becoming bitter, we first grieved because many of our friends left the denomination and some left the faith. I’ll admit that for a season I was left questioning if the Pentecostal lampstand was all completely false. But now we have a growing congregation that is steeped in biblical teaching and much love and grace. I sent your article to our database today, so I hope you get a lot of positive feedback. “All you need to know about the Assemblies of God” leaves quite a bit out of what constitutes the average American AG experience. While the fundamentals may be orthodox, the structure is folding under the influence of “Word of Faith” hysteria. Brownsville and Pensacola revivals are boils on the body “that is sick from head to foot” Isaiah 1. Currently Todd Bentley, tatooed and pierced exorcist in sheep’s clothing, is further staining the name of his AG host in Tampa, FL. God help us if the media finds this skeleton in the closet of Palin’s religious profession and publicizes it to the shame of all charismatics. “We are not one of them!” will be the cry of all orthodox tongue talkers; undoubtedly that will not be the defense of Springfield, MO where the Church of Compromise (Thytira) entertains most angels of light preaching another gospel. Yes, the AG looks good when you read their Statement of Faith and position papers, but when you sit in the pew and hear the heresy spewed by men who are obviously “name it and claim it, blab it and grab it, confess it and possess it” you must, as Palin did leave. To her credit, that is the smartest thing she ever did in Alaska. Well done! A response to the media and all the crazy political blogs was long overdue. 1. “generally considered orthodox” — wiggle words… Considered orthodox by whom? Not by liberal Protestants and not by Catholics. Not by Southern Baptists or conservative Lutherans, Presbyterians, or United Methodists. By any empirical measure, the vast majority of Christians in America (and worldwide, for that matter) do not consider the AG’s most distinctive doctrine to be orthodox at all. And it’s not clear what sneering or counter-sneering at ‘liberal intelligentsias’ about the more shall we say “expressive” variants of glossolalia really is meant to accomplish? The import of this strategy of yrs seems to be to suggest that all that other stuff — the holy laughter, being ‘slain in the spirit’, handling snakes or drinking poison, or holy crying, or holy barking like a dog, or uncountably large numbers of divine healing claims, none of which ever get confirmed by independent observers, and all the rest of it — isn’t really central or crucial. That’s not really AG? Really? I beg to differ; no one else does all that stuff in their church services (at all), and it’s the thing that the AG does that’s most distinctively AG. Is everyone else just undergoing a mass delusion about that? Surely when the Southern Baptists everywhere in which they are cheek-to-jowl with the AG reject whole-heartedly all such emotional excess (as they see it), *they* aren’t part of Andrew Sullivan’s sneering liberal intelligentsia, right? Or take the 65 million or so Americans who are Roman Catholic — by *far* the numerical majority of American Xnty… Among whose number Andrew Sullivan gladly counts himself… Are they all — every ‘cessationist’ one of them — liberal intelligentsia too? 2. You say “thoroughly Trinitarian”, but that’s just really not true at all. Rejecting modalism is not sufficient to be Trinitarian. The AG, inasmuch as it has a theology at all, is *not* trinitarian, nor is its liturgy or worship practice. This is talked about in AG circles, of course, as you well know, but chose not to reveal. I wonder why. 3. You say baptism in the Holy Spirit with “initial physical evidence” of speaking in tongues “empowers believers for Christian witness, service, and holiness”, but that’s an empirical claim that *no scientifically valid study* bears out. No study can find any stastically significant difference amongst non-glossolaliacs and glossolaliacs (to use what I intend to be a neutral term) on the question of ‘witness, service, and holiness’. And, sure, we can just pooh-pooh science all we want, but you are making an empirical claim about the effect an experience has on a group of people, in aggregate, as compared to other groups of people who have not had that experience. Exactly in the same way one might claim that people who smoke have higher incidences of lung cancer. How would we go about determining the truth of either claim, since they are indistinguishable? If, counterfactually, we couldn’t find any statistical evidence for the claim about smoking-cancer correlation, would we keep making it anyway? 4. All the history is fine and good, but why not talk about recent history, and the new relationship between American electoral politics and the AG? In fact, we can be far less coy and just say the relationship between the AG and the Republicans, since that’s the relationship that exists… That’s new in the history of the AG, isn’t it. And, unlike Azusa St or Parham or Seymour, it’s actually *relevant* to the Palin situation. Surely this AG-Republican alliance is relevant to assessing Palin’s sudden position at the forefront of Republican politics, especially when by all accounts, including sources inside the McCain campaign, her religious credentials were central to her choice by McCain to shore up “the religious base of the Republican Party”. 5. There’s a touch of (perhaps unintended?) self-pity and angst in the description of Swaggart and Hinn and the Bakkers as “media-whipped” — surely their behavior, which has been well-documented and undisputed, isn’t an example of the increased “witness, service, and holiness” that you refer to? Perhaps if Palin ever deigns to allow the American people to witness her having a grown-up conversation about the issues of the day — financial meltdowns, environmental trends, wars and rumors of war — we’ll discover whether she can cut the mustard or not. Or maybe the media just didn’t show Swaggart or Hinn or the Bakkers the requisite amount of “deference” that McCain and Palin demand from the media before it will be allowed to interview her? 6. Finally, a word about politics and religion. I think most Americans would, in abstract terms, take Barack Obama’s position vis-a-vis Sarah Palin’s religious beliefs, namely, to take her at face value and consider her political and policy positions, past experience, or lack thereof, and general fitness for the position for which she grasps. However, she joins a campaign and is an elected official belonging to a political party that has, in the most vicious and hateful way, tried to trick the American people into questioning Barack Obama’s religious beliefs, which has repeatedly slandered him — by their lights, not by his or mine — as a Muslim, and just about literally crucified his religious beliefs, background, and pastor. Like Rev Wright or not, I fail to see how he and Obama are owed any less respect for their religious beliefs than you and other AG folk urge all the rest of us to have for Palin and the AG generally. Failing — as Palin has *systematically* — to do anything to demand equality of treatment and respect for Obama as well as for herself on this religious question suggests a kind of calculating and deep-seated hypocrisy that is reprehensible and disgusting, whether one is AG, Catholic, liberal, conservative, or even not religious at all. Thanks for your kind words and encouragment, I appreciate it! I don’t know what such an average experience is. I’m not even sure what my own “average” experience would be: every A/G church I’ve ever attended has been different from the others in terms of my personal exeriences. Some have been influenced by WoF doctrines, some not. Some have encouraged Pentecostal expressions of charisms (gifts), some have not. Some have featured expositional preaching, some have not. Some have been warm and inviting, some not. And so on. You note that “While the fundamentals may be orthodox, the structure is folding under the influence of ‘Word of Faith’ hysteria.” And you cite the Brownsville and Pensacola revivals, including Todd Bentley as your examples. But I have to tell you that among the cirlces I moved in, and still do, there has always been a great deal of suspicious regarding Brownsville, and nobody I know has accepted Bentley as representative of either classical Pentecostal doctrine or the A/G positions. Bentley is not, as far as I know, credentialled with the A/G. Nevertheless, what I have consistently seen is calls for censure and corrective action in these cases. Further, that some A/G churches host such revivals and seem open to WoF, Latter Rain, and Joel’s Army movements does not necessarily indicate that Pentecostal doctrine and theology is itself incorrect: I and others view these other movements as aberrent. You go on to caricature the A/G headquarters as “the Church of Compromise (Thytira) [which] entertains most angels of light preaching another gospel.” This is simply rhetoric. Cite an example and we might have a discussion. Dude! Thanks for dropping by to interact! It’s been a while since we corresponded, and I’m delighted you left a comment. Seriously! You accuse me of using a “wiggle word” when I describe the Assemblies of God as “generally considered orthodox.” I stand by the terms. You say that neither liberal Protestants, Catholics, Southern Baptists, conservative Lutherans, Presbyterians, or United Methodists would consider the A/G orthodox. Insofar as some of these groups are co-members with the A/G on the National Association of Evangelicals, and insofar as there was not a mass exodus of NAE member denominations when A/G minister Thomas F. Zimmerman was elected to its presidency (who later went on to serve as A/G general superintendent), or when A/G minister Don Argue led that body nor, later, when (non-A/G) Pentecostal Ted Haggard led it, I would say that at least mainstream Evangelicals no longer consider Pentecostals necessarily heretical. They seem to, in fact, find us cuddly. Now as to whether there are specific A/G doctrines considered to be unorthodox by various other Christian sects, I don’t disagree. But sectarian doctrinal differences do not mark an entire movement as heretical. Some A/G churches have given themselves over to the Latter Rain/World of Faith style theology and practice, but by no means have all done so, and this is not what we identify as our distinctive. So-called “holy laughter,” barking, and Appalachian-style snake-handling, whatever, have no biblical precedent and no doctrinal support from the General Council of the Assemblies of God and they are largely sourced from revivals in non A/G churches like the Toronto Airport Christian Fellowship. Further, no A/G church that I have ever heard of ever advocated snake-handling and etc. You know this, Kendall, and I’m disappointed you’ve conflated Elmer Gantry accounts with A/G history. The healing claims, I’ll grant you, we do love our healing claims. But as to whether or not there is zero documentation is a claim for a different discussion. I can tell you that my family’s claim to physical healing is documented insofar as my wife’s doctor has MRIs and CAT scans indicating the presence of a micro-adenoma at one stage, which disappeared at another. What happened in the intervening stage? Coincidentally, there was a “word of knowledge” or maybe “prophecy” given at her home church the weekend that I proposed to her. That “word” was that “This day, my daughter, you are healed.” After the service, the lady who had spoken came to my wife and told her, “I don’t know why, but I feel like that message was for you.” Nobody in the church knew about my wife’s condition. Three months later, a follow-up MRI revealed that the adenoma had “spontaneously disappeared.” Or, perhaps, was never there at all. But my wife’s need for medication and therapy also ceased during that time. Coincidence? Oh, sure. Documented? No, not to anyone’s satisfaction save our own. Healing? I think so. Heresy? Only if it’s orthodox to deny Scripture. And regarding and how Roman Catholics are universally cessationist you must have missed the memo: not so much. There are probably more charismatic Catholics in America today than there are A/G adherents. And this hasn’t happened just to Baptists and Catholics. “Since c. 1960 the Pentecostal movement has come to be widely represented not only by the classical Pentecostal Churches, but also within the main Christian denominations, including since c, 1967 the [Roman Catholic] Church. (“Pentecostalism,” The Oxford Dictionary of the Christian Church, 1989. page 1,062). “Pentecostal leaders such as David Du Plessis encouraged the spread of the charismatic movement to mainstream Protestant churches and the Roman Catholic church. In all of its modern variations — Pentecostal denominations, independent ministries and churches, and charismatic movements within Protestantism and Roman Catholicism — Pentecostal religion strongly influenced twentieth-century American Christianity and transformed the religious demography of much of the developing world” (“Pentecostalism,” David Edwin Harrell, Jr. The Oxford Companion to United States History, 2001, page 587). You move on to criticize my claim that the A/G is “thoroughly Trinitarian,” is “just really not true at all … the doctrinal temptation of AG and other forms of Pentecostalism is not modalism … but tritheism.” You also claim that I know this is talked about in A/G circles and imply that I was disingenuous for not revealing this. Really? If I had such knowledge I must have suppressed it. Allow me to state categorically for your satisfaction: I am aware of no active discussion in the A/G circles in which I move, am familiar with, or have heard about which calls into question our Trinitarian view of God. I reject the label “tritheist.” Feel free to show me where, in our official doctrines or theology, we are guilty of this accusation. Or show me how my own writing on this blog may have fallen into that heresy. Cite your source, and we can have a conversation about that. As for no “scientifically valid study” for the empowerment for Christian witness, service, and holiness, I wonder how one would go about devising such a study? Would it be anything like the “scientifically valid” studies confirming that prayer has no effect on anything whatsoever? Perhaps you have just such a “scientifically valid” test handy to help us prove conclusively that the Holy Spirit is, indeed, the third member of the Godhead. Save us from our damnable tritheistic heresy once and for all with the glorious hope of a “scientifically valid study.” Please! If you could help us, Kendall, we could transform apologetics! Finally, and at last, we could supply the world with “scientifically valid” conclusions about all matters of faith, phenomenology, and intuition! That the Bible, properly interpreted, appears to teach the expectation of such an experience and its orthodoxy (if not orthopraxy) is sufficient cause for me to seek the same experience in my life, and to encourage others to experience it. Whether science confirms the validity of the practice is less relevant to me than whether it is normal or normative for the believer. As for whether there is a statistically significant difference between those who speak in tongues and those who don’t, you may be missing the fact that the rapid success of the movement in missions and evangelism is at least one area where statistical significance is passingly robust. “On November 20, 1998, Pentecostal scholar Vinson Synan presented a paper to the Evangelical Theological Society entitled, “Policy Decisions on Tongues As an Indicator of Future Church Growth.” Synan demonstrates in his paper that Pentecostals have been dramatically more successful in planting and growing churches than those who have rejected the Pentecostal understanding of the baptism in the Holy Spirit and the necessity of speaking in tongues. His statistics are drawn from the development of Pentecostal missions in the 20th century. In Chile, the Methodists grew to approximately 5,000 members, while the Pentecostals grew to 2,371,000. In Brazil, the Baptists grew to 1,050,000, while the Pentecostals grew to over 21 million. Worldwide, the Christian and Missionary Alliance grew to 1.9 million, while the Assemblies of God has surpassed 25 million. More current year statistics (2003) show that Assemblies of God worldwide members and adherents have grown to nearly 48 million, not including the nearly 2.7 million adherents in the U.S.
As for my alleged angst over Swaggart, Hinn, and the Bakkers, I have no angst. I state that they are defrocked and do not represent the A/G. it’s fallacious to assume that they are representative of the A/G any more than assuming that I, myself, am exemplary — especially when they have been defrocked and rejected by A/G authorities. However, they are frequently referred to as shining examples of the A/G when it’s simply not true. And you fall into the same pattern, using them as an ironic example of “the increased ‘witness, service, and holiness'” that I referred to. The failure of individuals to live up to the biblical calls and mandates does not repudiate the worth, value, or truth of the biblical claims that such individuals fail to embody. Next someone will prop up Jim Jones as a shining example of Christian devotion. As for “the new relationship between American electoral politics and the AG,” “the relationship between the AG and the Republicans,” and “this AG-Republican alliance,” I have no idea what you’re talking about. It’s news to me. Care to back that claim up? As for Obama vs. Palin in the arena of faith and politics, I know of nobody who seriously claims that Obama is a Muslim. He has repeatedly stated otherwise, and I take his statements at face value. Conflating nut-jobs who hold that position with the entire Republican party is over-reaching, I think. But as to questioning Obama’s religious beliefs, I think it’s as legitimate to consider whether a church heavily influenced by Black Liberation Theology will have had an effect on a parishioner’s view of race and power. It’s as legitimate as questioning whether Palin’s possible association with Latter Rain-style theology would also effect her view of justice and freedom. I think both candidates have much to reveal in this area. But the point of my article is not to defend Palin. The point I’m making, and made poorly, I guess, is that whatever Palin is, whatever the Wasilla A/G is, that’s not what the Assemblies of God is, by and large. The caricatures drawn in the media are not accurate. Nor, apparently, are yours — which is surprising for an Assemblies of God college graduate like yourself. As for whether Palin has failed “systematically” to do anything, I have to laugh. It’s been, what, two weeks since she was announced as candidate for VP, and we’re already using words like “systematically” to describe her actions in the national spotlight? Two weeks isn’t long enough to characterize anybody’s behavior as systematic. Again, I think you’re over-reaching. I don’t know what in my article caused you to respond with such apparent irritation (anger, even) but I hope your anger is not directed at me. Perhaps you are angry about the Assemblies of God and how Pentecostals like myself have treated you? I don’t know. If I have mistreated you in some way, please tell me so I can make a proper apology. I’m familiar with your cynicism and your forceful critiques, but I’m not familiar with the anger. While I’m no fan of Sarah Palin, as former A/G-er I appreciate this thorough journalistic-y post! I’ll be passing it along to curious friends…thank you. Another job, well done Rich! When I grow up, I’m gonna write just like you! Seriously, thanks for the article and the repsonse to Kendall….man, I need some smart pills….